In fall 2016 we had excellent quality digging our colored potatoes out of the field but when November came around and we started to pull the crop out of storage, we were seeing one big issue: pressure bruising. With this quality issue—which led to excessive product waste (culling out 30-40%)—we knew we had to brainstorm a solution for next season. 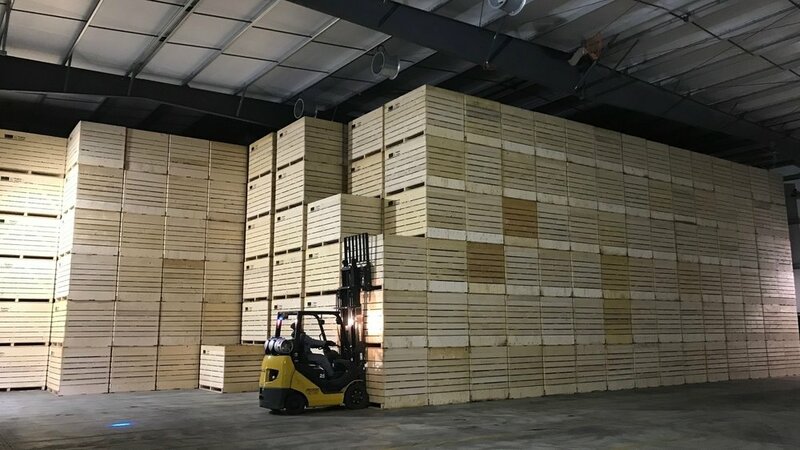 After extensive research and meetings with various fresh produce storage solution vendors around the world, we landed on a storage method that has worked seamlessly thus far. Instead of piling our yellow, white and organic potatoes in a huge storage shed, we invested in wood bins. 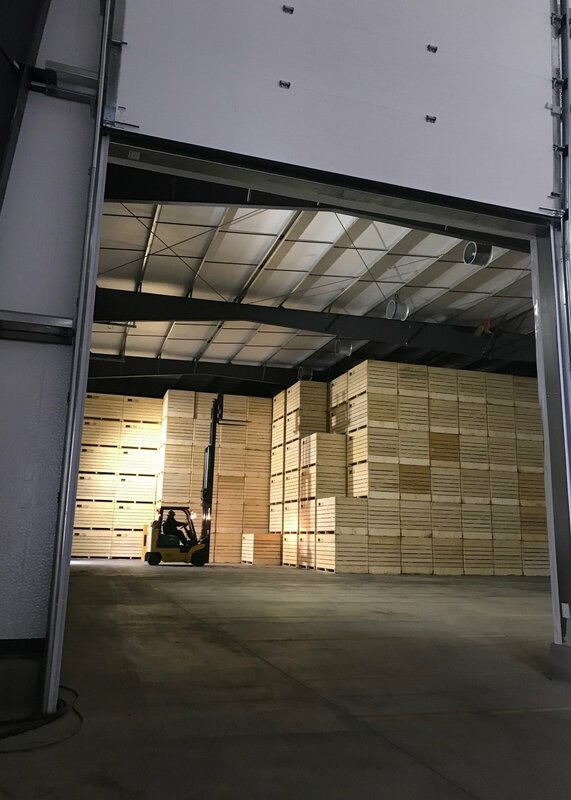 These wood bins proved so successful that over summer/fall 2018 we built a brand new facility specifically designed to store these bins with air circulation technology at the forefront. Storing the yellow potatoes in this format, drastically increases the quality coming out of storage, well into the spring.